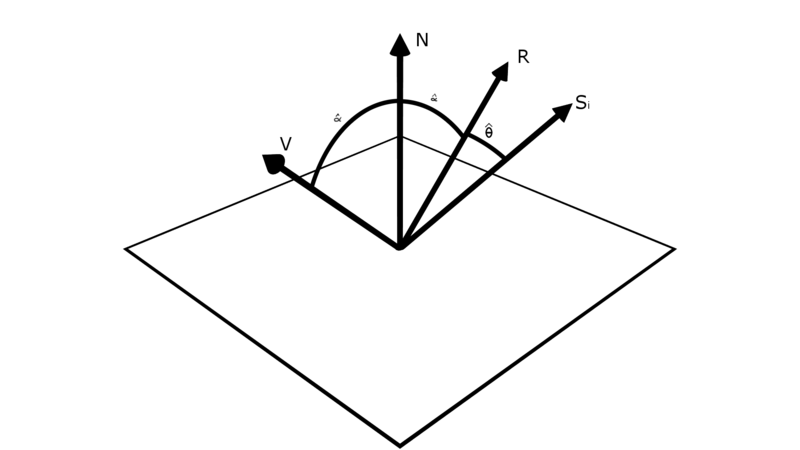 Shouldn't the $ \phi $ angle favor the specular direction, which is dependent on the incoming ray? Why we're not using at all the incoming ray to calculate the sampled direction which is supposedly sampling the brdf? Lastly, assuming a standard backward path tracer, is this pseudocode the right way of computing the results? // of the incoming radiance, how much is scattered along the new direction? Now, when we generate samples for Phong shading wo do not generate them in this space. $\phi$ is a number that is sampled uniformly in the range $(0,2\pi)$ this means that rays will be generated around the reflected direction with no bias towards any particular direction. Generated rays will, however, be biased to have a direction close to $R$ due to the way that $\theta$ is sampled. 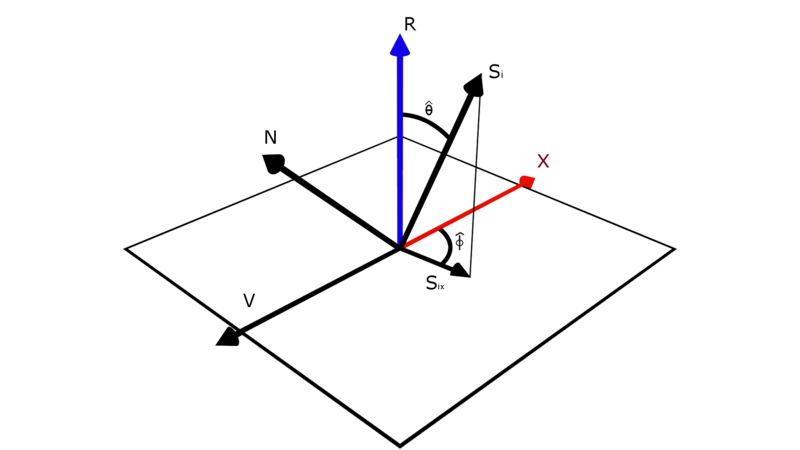 When we generate rays in a backwards pathtracer we use the view direction to get the directions where the light is likely to come from, instead of throwing light around and seeing where it falls. The later technique is closer to photon mapping. Not the answer you're looking for? Browse other questions tagged pathtracing brdf physically-based monte-carlo or ask your own question.